Seaview Survey, in partnership with Google, has been capturing 360-degree views of famous coral reefs. NBC's Savannah Guthrie reports. In its most sweeping use of the Endangered Species Act, the nation's oceans agency on Friday proposed listing 66 species of coral as endangered or threatened -- and cited climate change as driving three key threats: disease, warmer seas and more acidic seas. Pillar coral are seen in the Florida Keys. The species was one of 12 proposed for listing as endangered by the U.S.
"Climate change and other activities are putting these corals at risk," Jane Lubchenco, head of the National Oceanic and Atmospheric Administration, said in announcing the proposal. "This is an important, sensible next step toward preserving the benefits provided by these species." Lubchenco argued that the benefits extend to fishermen -- some of whom are worried that any coral protection could mean less fishing. "Corals provide habitat to support fisheries that feed millions of people," she said, as well as generating jobs through recreation and tourism, and protecting coastlines from storms and erosion. In its press release, NOAA emphasized that since President Barack Obama had directed agencies to minimize regulatory burdens it would strive to "adopt the least burdensome means" of compliance should it create protected habitat. "A full analysis of economic impact, including impact on jobs," will also be undertaken, it stated. The proposal is the result of a court settlement with the Center for Biological Diversity, which petitioned to have 83 coral species listed. NOAA agreed to review 82 of those species. Dave Gilliam and Liz Larson Nova Southeastern University and James Byrne, The Nature Conservancy discuss the large scale environmental program that is underway in Florida's coral reefs. "While the government decided that 16 of the corals we proposed do not warrant listing, the fact that dozens are moving forward with protections is good news," the group's oceans director, Miyoko Sakashita, told NBC News. "Our coral reefs are dying and need federal protection," she added. Last April, NOAA scientists reported that more than half of those 82 species were "more likely than not" to face extinction by 2100. Corals are very sensitive to disease and temperature change, and the fact that seas have warmed and become more acidic as carbon dioxide emissions have risen led to NOAA's proposal and focus on climate change. 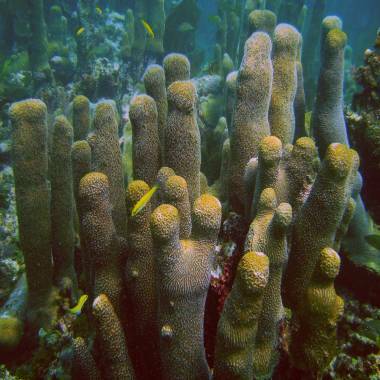 The acidity weakens the skeletal structure of coral. The polar bear is the only other species listed under the Endangered Species Act because of climate change, and that's because of shrinking sea ice. Since climate change is global in nature, NOAA can't do much to protect coral from that threat, but Sakashita said actions that the U.S. could eventually take include protecting corals from overfishing. 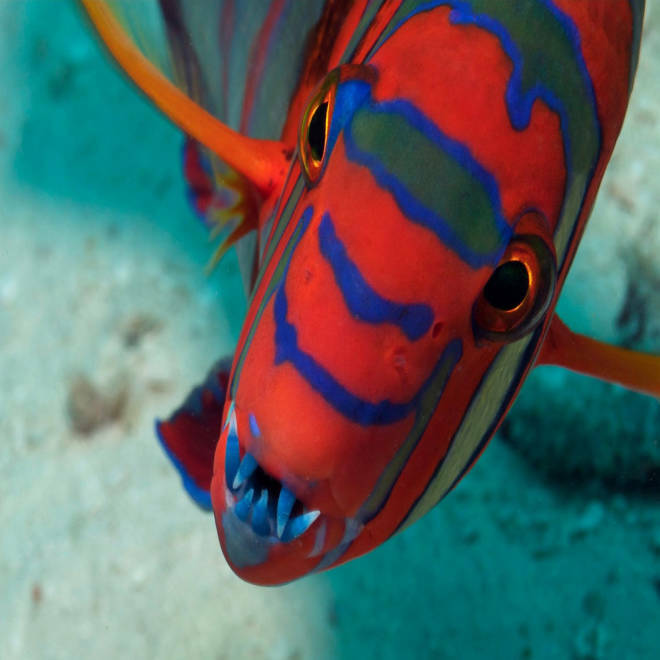 "For example, in the Caribbean we have a lawsuit pending that challenges overfishing of parrotfish, which are important grazers for coral reefs to keep them free of algae," she said. "Other local threats that need attention include water pollution, dredging, or coastal construction that impacts coral habitat." See dozens of wonders from coral reefs and other exotic seascapes, courtesy of the Catlin Seaview Survey. To date, just two species of coral -- staghorn and elkhorn -- are on the Endangered Species Act, and both are in Florida and the Caribbean. Now listed as threatened, they would be reclassified as endangered under the proposal. Of the 66 species now proposed for listing, 12 would be listed as endangered -- seven in the Pacific and five in the Caribbean; 54 would be listed as threatened -- 52 in the Pacific and two in the Caribbean. NOAA aims to finalize the listings in late 2013, after public meetings and a comment period. Comments can be made via NOAA's listing proposal site. NOAA had never before analyzed so many species over such a wide geographic range. The closest in scope was a review of 30 West Coast salmon and steelhead species in 1994. Friday's proposal came as nations met in Qatar to replace the 1997 Kyoto Protocol with a new framework for reducing emissions of carbon dioxide and other greenhouse gases. Little progress has been made, and the talks continue next week.